If you follow me on Instagram you may already be aware that I recently cut my hair. I’m not talking “trim” or the ever popular “pretend trim” some people get every 6 months. I actually chopped off 6 inches of my hair; the second cut of this magnitude in less than 3 months. Yes you are reading that correctly, I have cut roughly 12 inches of my hair off this summer. While still at the salon I posted a picture on Insta of my hair lying on the floor of the salon after the first BIG cut. They say the first cut is the deepest…well not for me, during the monumental cut I was on my IPhone talking to my hubby about our beach outing the next day, aka I couldn’t care less. This was the first time in all my years of spending A LOT of time in salons that I heard other salon patrons gasp! All the women at the color station collectively clasped their hearts, and their hairs, and starred at me in wide-eyed disbelief. What had I just done? Did I make a huge life altering mistake? Or did I simply let go of 3 years of dead hair that wasn't doing me any good hanging from my scalp anyways? Perhaps you’re asking yourself if I was growing dreads, or if I was growing it so I could wrap myself in it for warmth during the cold Toronto winters? Neither of those two assumptions is correct, in fact, I wasn't aware I had even grown my hair “disgustingly long” until it was too late. It had become limp, split ended, dull and made me look a lot older when it was down around my face. Which wasn't even very often, it was so long and unruly that it had become difficult to style and therefore the sock bun became my best friend over the past 12 months. I found the process of cutting my hair into a much more manageable, stylish and healthy cut so fascinating because of the reactions of everyone around me and the discussions that have come up over the past few weeks. In the two weeks prior to my BIG cut Beyonce and supermodel Coco Rocha both cut their hair, super short. Also, in case you follow a bunch of other fantastic fashion bloggers you may have noticed several of them cut their locks right before NY Fashion Week. Cutting your hair is essentially like buying a new pair of designer shoes, people are going to notice, and you suddenly feel like a new person. As it turns out, most women are afraid to cut their hair. They hold onto long hair for the comfort and familiarity, and some also because they feel more feminine. Fair enough, but some women also keep their hair long just for their significant other (something I totally disagree with). There is also a bit of stigma associated with long hair, in the months after my wedding everyone asked me if I would be chopping my hair because I was now married I don't see the correlation? Was long hair only for wild,single women? Does that mean that short hair is for boring "off the market" women? I have come to realize that cutting your hair can boost your confidence, inspire you to create a new beauty look for yourself (a mini make-over, or a full out make-over), and it cuts your styling time down significantly and can make a huge difference for someone like myself who would rather wear their hair in a bun than blo-dry it. It can make you look more mature, but then again if you're afraid of looking "old" think of how long hair drags one's face down, which can make you look haggard and worn out after awhile of the same style. I personally think a sleek short hair cut makes a woman look younger. Things you CAN do with really short hair: wear it down every day and look polished and professional even in a corporate environment, safely sit near candles, embrace the latest celebrity hair-cut trend, cut your morning hair styling routine in half (my short hair takes me 20 min to dry and straighten), not get neck sweat when you’re at the beach, same money on shampoo and conditioner (less hair means way less product). 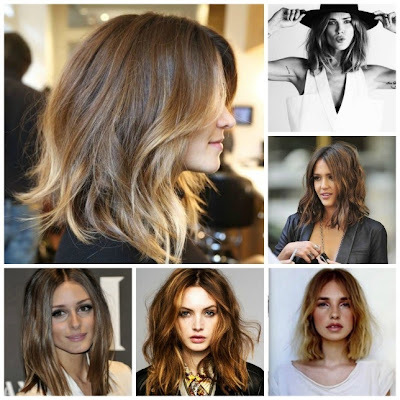 Also, here are some images that provided me inspiration for my cut and ultimately got me into that salon chair. FYI, my hair is much shorter than all of these images, I went all out! Of course, I have to present both sides of the story, so for all those long hair loving ladies, here are some reasons why you may be holding onto your long locks. Things you can’t do with really short hair: sock bun, high pony tail, any pony tail for that matter, flip your hair over your shoulder and say “as if! !”, corn-row braid’s with those little beads on the end from a lady on the beach in Mexico, accidentally dip your hair into the toilet when you’re relieving yourself. 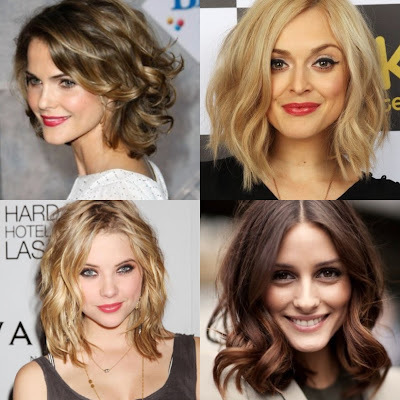 Okay, so its that time, I want to know if you have super long hair or if you're sporting a cute swanky cut? Let me know and also feel free to share your thoughts and feelings on why you love either hair style. I cut my hair a few weeks ago, too! From lonnng hair to like Michelle Williams/Anne Hathaway short. I LOVE it! I have been there, done that. When I was younger (like, 15) I had an obsession with Cameron Diaz and every time I saw one of her films I would copy her hair, cause she just looked SO perfect! But I didn't know how to style it and didn't have the proper tools back then and always regretted it. Hi Jennifer, I'm visiting via IFB! Congrats at being featured. And thank you for this post. I have been busy pinning short hair styles to my Pinterest board. I had short hair in the past, and am ready for a fresh look. Your words have sealed the deal! Thanks so much for the post! I have been going back and forth whether or not to cut my mid way down my back hair into a bob or go all the way to a pixie cut. The only thing holding me back still is that I'm afraid of looking like a boy. Maybe I just have to take a deep breath and just do it. All images and writing are the intellectual property of Jennifer Novello unless otherwise stated. Simple theme. Powered by Blogger.